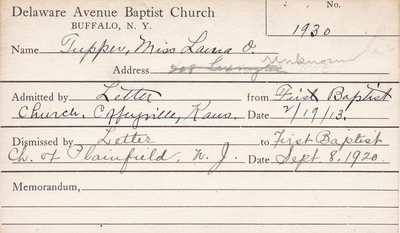 "Tupper, Ms. Laura O." 1920-1929. Delaware Avenue Baptist Church Digital Collection. Monroe Fordham Regional History Center, Archives & Special Collections Department, E. H. Butler Library, SUNY Buffalo State.